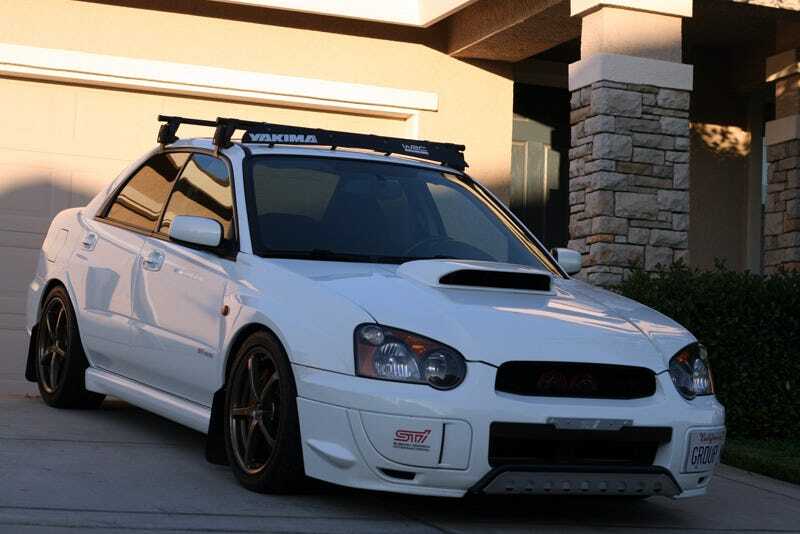 Next up on my list of things to do for my STi (after getting my new tires mounted) will be mounting a roof rack on the car. For the ‘07 and prior Impreza sedan, the standard methods for mounting a roof rack on the car are pretty crap. I can either use the clip on type or try to use the factory holes as is in a pretty unsecured way. From what I have read, both of those options can pretty easily be stolen and are likely to either look stupid or require a bit of custom work. I’m probably going to just start with ordering the brackets and the landing pads since everything else is just bolt on after that. I will piecemeal the other stuff and perhaps try to find some of it used or just pick out cheaper versions. The first parts will take care of the interior disassembly and represents the lowest cost portion of this project. Thankfully this stuff is all cheapest on Amazon so I can just impulse buy parts when I feel like it and have them right away. But I think it should be far enough back to work. I should measure the height to see if a set of skis would have clearance issues with it as well.